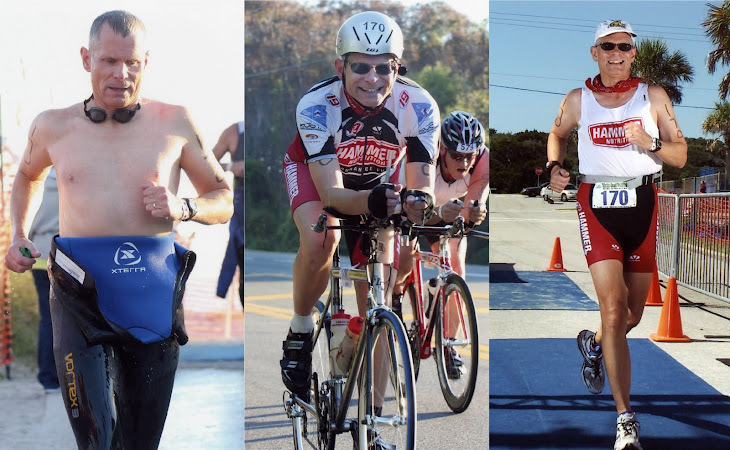 What I have learned (and am still learning) in my continuing quest after completing my 100th triathlon in 2010. 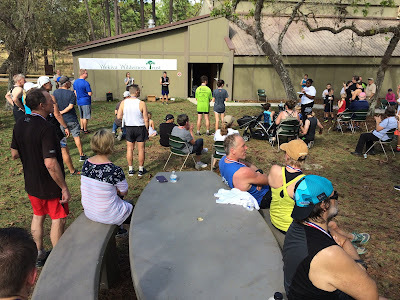 Saturday was a trail race in my favorite training ground, Wekiwa Springs State Park. 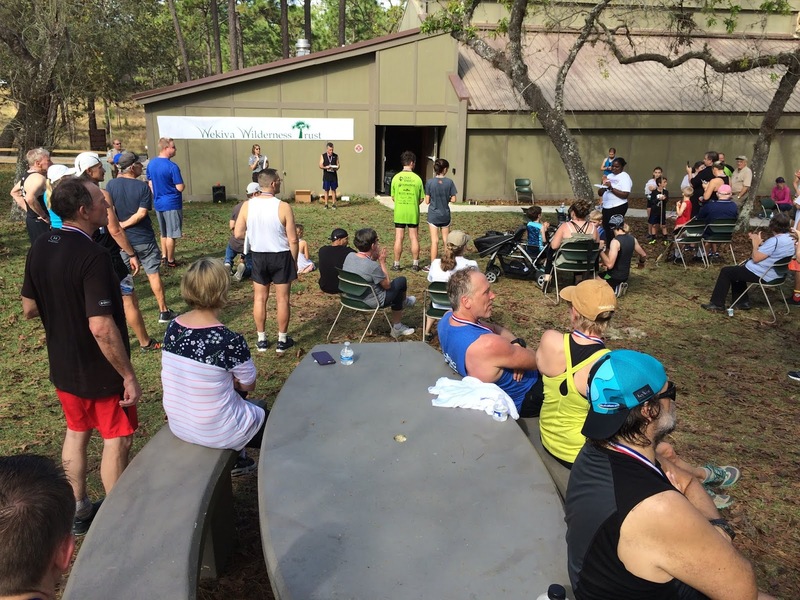 Being on the Board of Wekiva Wilderness Trust, I help gather the sponsors for this race. 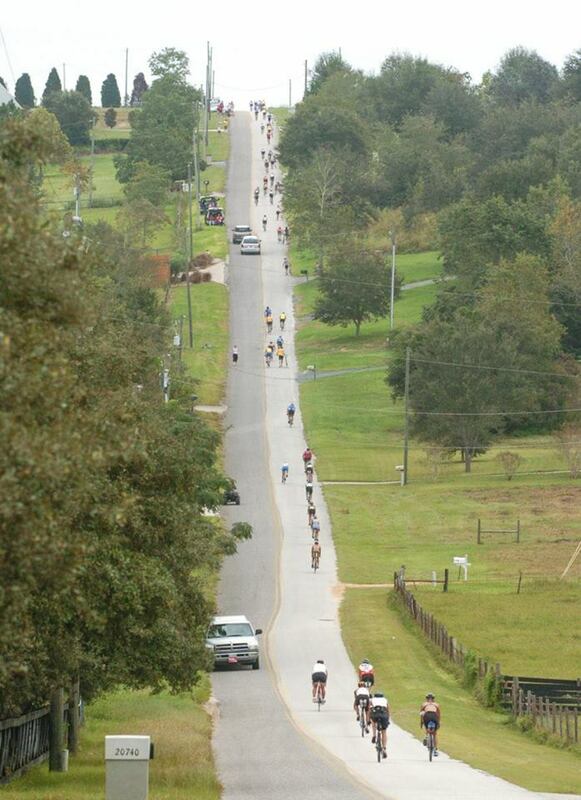 This was the 32nd running and we had our biggest field yet. I went to Panera at 6:30 AM to get the bagel donation and returned by 7:00. People were already gathering for the 8:30 start; 10k goes first (me) and then the 5k four minutes later. 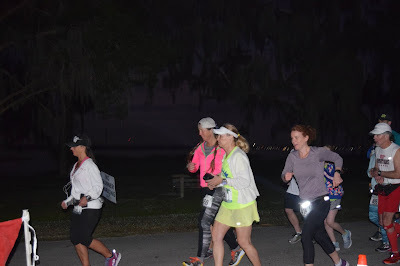 At the gun, I surged right away because passing is difficult so after 1/2 mile, I was passed by about 10 people. A few more passed me as we got to the Tramway section and then I began passing a few back. It was about 85' and sunny so people began wilting after the 5k split. 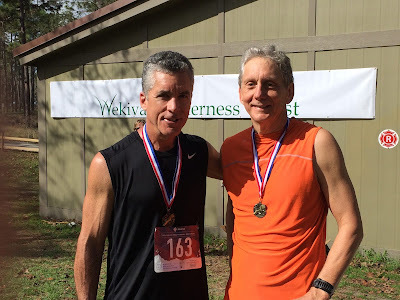 I maintained my 9:30 pace, occasionally dropping to 9:05. 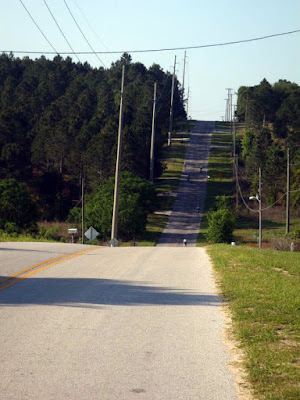 The hilly sections began to slow me a bit but I felt myself picking up the pace at 4 miles. 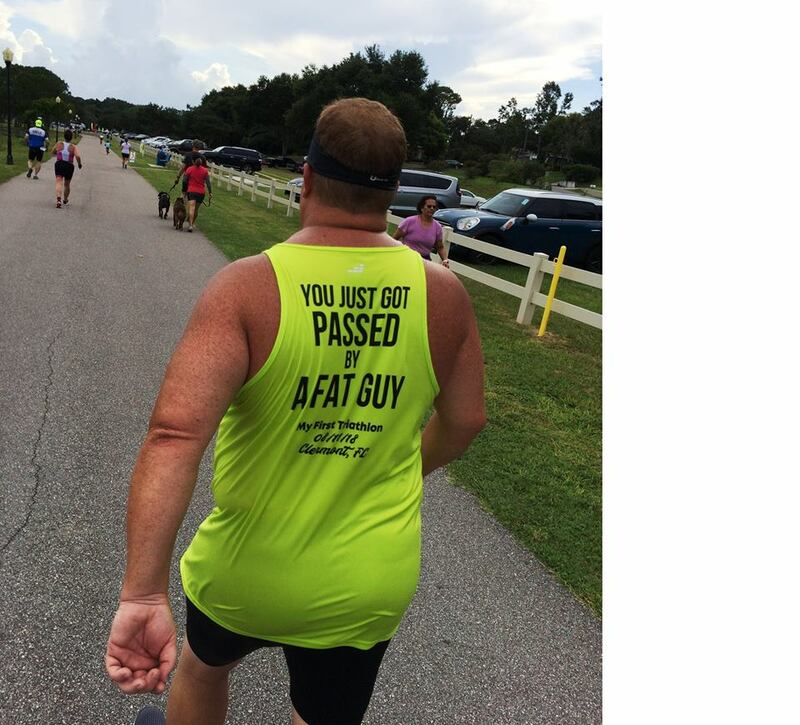 I began passing 5k walkers with a mile to go, especially in the uphill sections. I crossed the line with a time of 1:00:39, good for first in my age group and 26th out of 73 overall. Brian Sharon blistered the 10k with a 40:30 time and Tim Hay won 60-64 with Jim Payne right behind him. 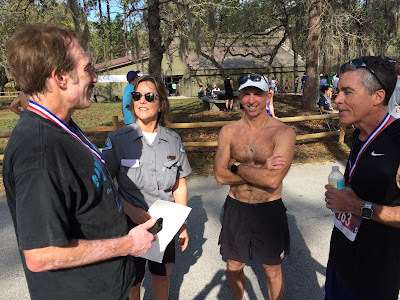 Gary Cohen won his age group in the 5K. Jeff Cuddeback came to cheer on Tim and everyone had a great time. 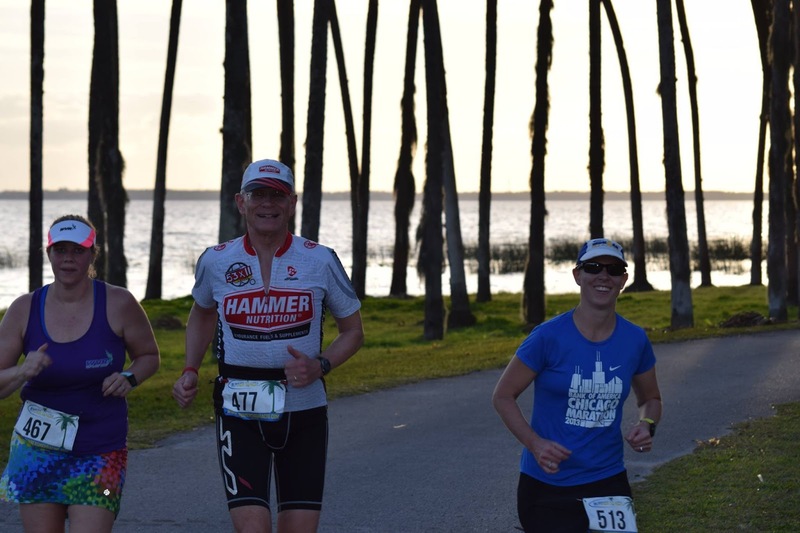 Saturday, February 16, was the 5th Annual D2D race for Seminole County Triathletes. 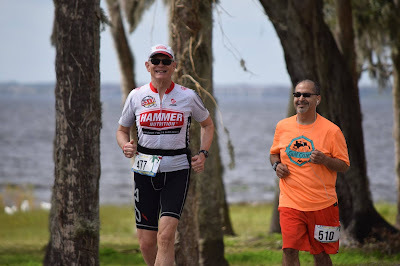 After my 3rd Place Solo Male Finish in 2018 with 45 miles, I was excited to do this race again. 2019 brought a change in venue; moving from Fort Mellon Park in Sanford to Stone Island in Debary. My off season training was a bit off though, further complicated by sinus allergies starting 2 weeks before the race. I arrived at 5:30, finding the park with no problem, though with the recent rains, the parking area was bit soggy. Rob Marens and Amy Fedock were very gracious in letting me set up in their canopy so I was guaranteed shade throughout the day. I arranged my supplies for easy access and prepared for the race. Temps were around 60 and the starting line had a nice view of Lake Monroe. 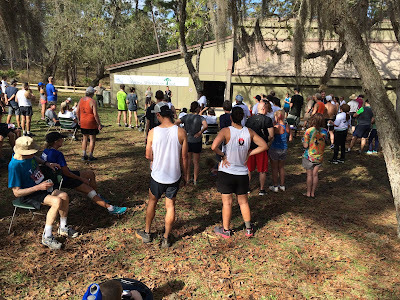 The field was large, with 10 teams, 102 Solo Women and 94 Solo Men. As the eastern sky brightened, the race began at 6:30 AM. Headlamps were necessary for the first laps but it got bright quickly. The north part of the 1.1 mile course was sheltered but a stiff breeze came off Lake Monroe as we ran along the shore. The breeze continued all day, bringing relief as the day warmed to 80'. Many friends from SCT were competing along with my neighbors Dustin Radney and Ashley Samples. 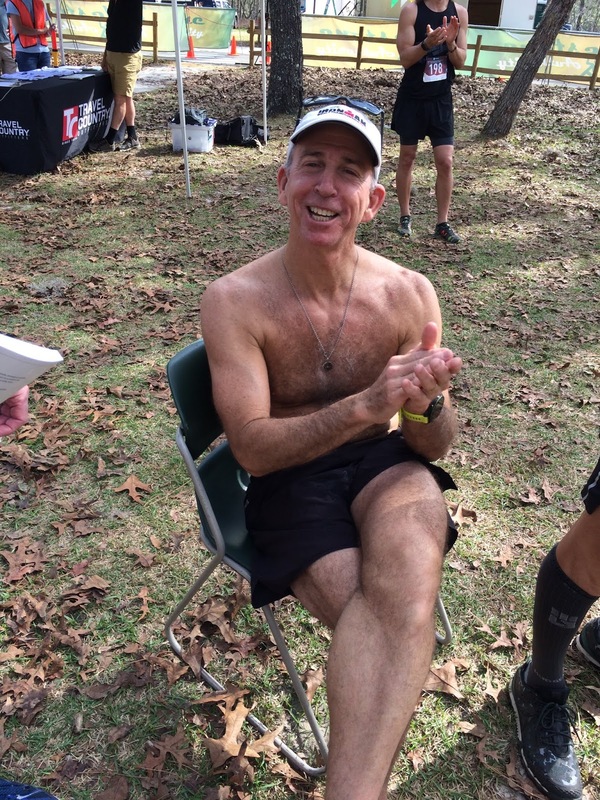 I took breaks at mile 10, 20, 25, 30, and 35. 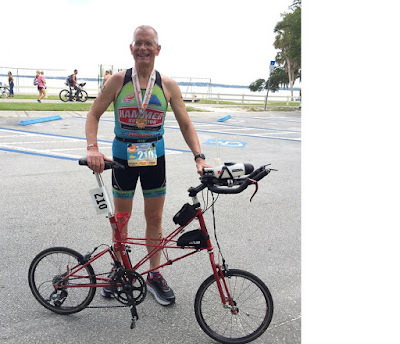 I experienced discomfort in my legs but nothing that would stop me. I thankfully used enough lube on my feet and pressure points to avoid any blisters or discomfort. 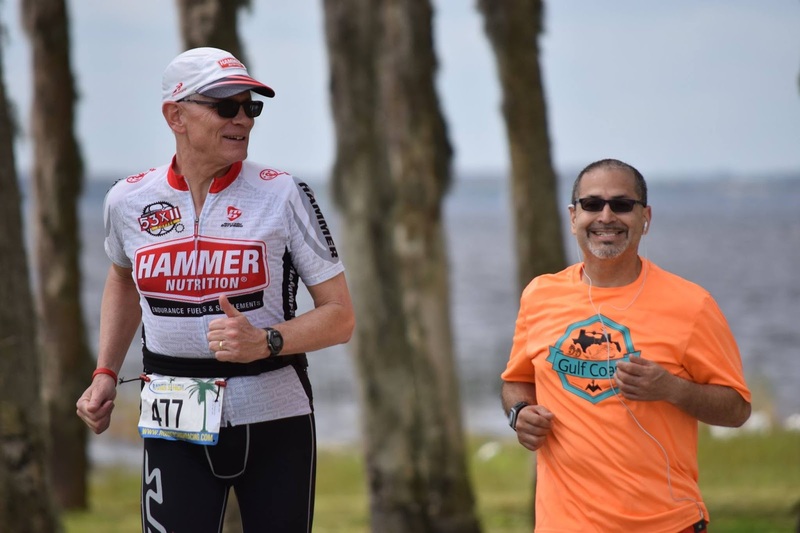 I noticed people dropping out in the 9th hour and fewer on the course every hour after that. 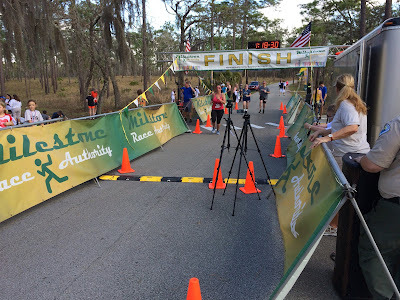 At 6:25 PM, I crossed the line with 40 laps (1.1 miles) which totaled 44 miles. This was good for 5th Place in Solo Male and 16th OA. 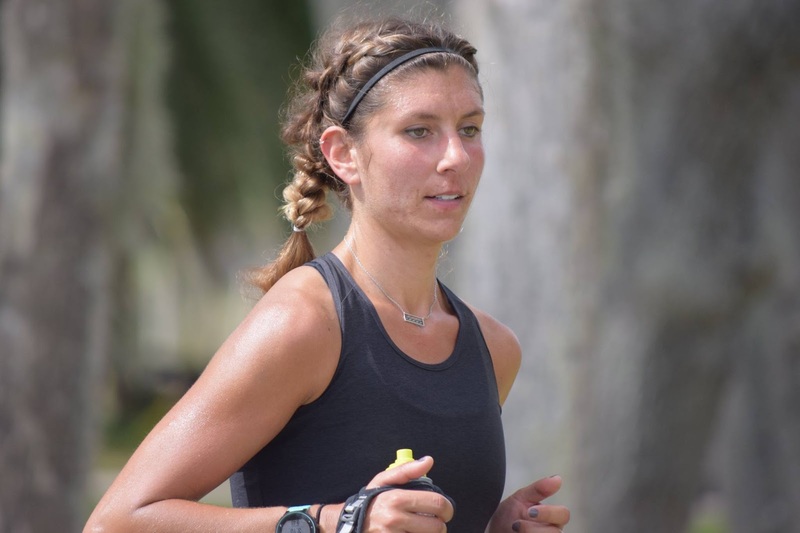 Becca Lingren won OA with an amazing 68.2 miles and Ty McLaren placed 2nd OA and won the Men's with 62.7 miles. I was the highest placed male over 50 (at 65). I was very satisfied with my performance. I feel with more training, I could hit 50 miles in the twelve hours next year. Dustin and Ashley's six person team won the Coed Division with an amazing 91 miles. 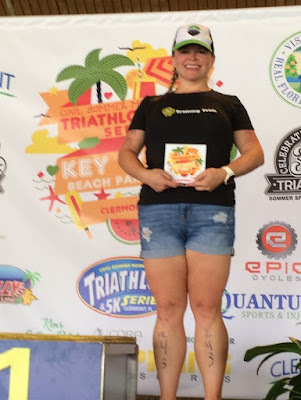 Amy got 3rd Individual Female with 60.9 miles. Joe Rodriguez and I; he finished 2 miles ahead of me in 4th. 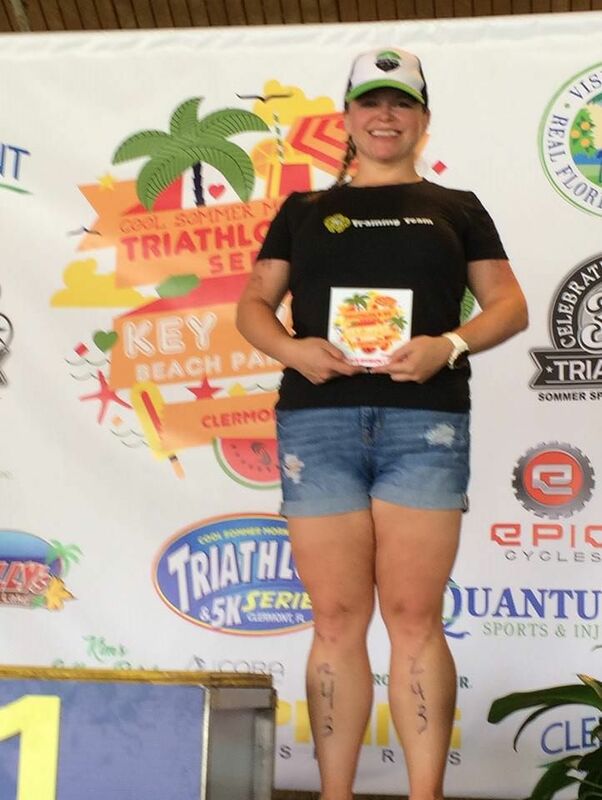 Becca Lindgren; 1st Overall with 68 miles! 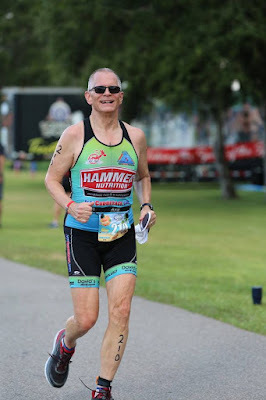 My 160th triathlon did not finish the way I planned but I did finish. This was the 28th edition of the Great Floridian Triathlon put on by Sommer Sports in Clermont, Florida. This is an iron-distance race, broken up with each segment in 3 laps. That way, competitors can choose the full, 2/3, or 1/3 distance. I was doing the 1/3 for the third consecutive year. This race inaugurated the new Victory Pointe Triathlon Park that the city of Clermont finished last month. 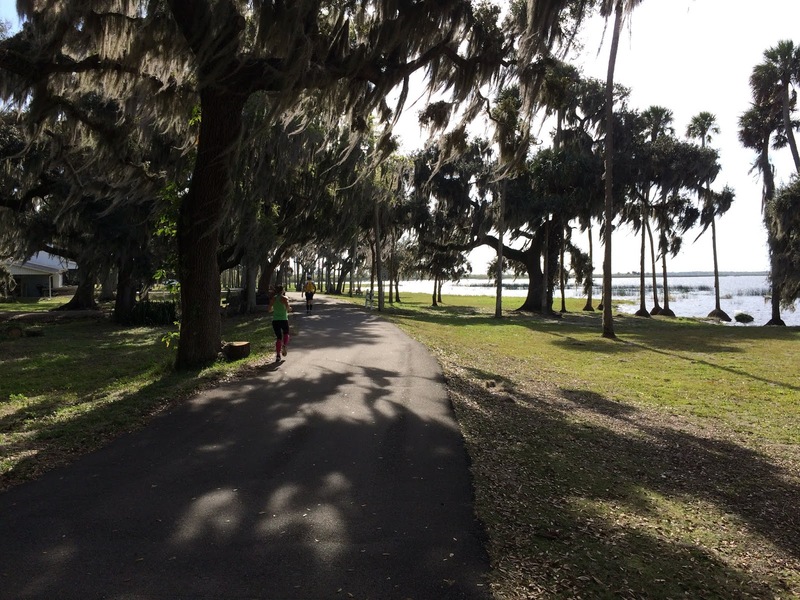 It’s about ½ west of the Waterfront Park, the triathlon venue that held events for decades. Fred Sommers gave me a great number, 655; 65 years and 5 months old. Several friends including Reeli Reenu, Amy Fedock, Ryan Ridge and Meggan Ann Johnson were also competing in the 1/3, Ryan for his first time. I arrived at 5:30 since I wasn’t sure about the parking and setup at a new course. Everything was very well laid out and I got my bike racked quickly. The little Moulton caused a stir when a number of racers from Miami were fascinated by it sitting among all the big wheels. One guy even brought friends from another rack over to see it. I was grateful when my friend Tim Delaney, piped up from down the row, “Don’t worry, he’s plenty fast on it”. 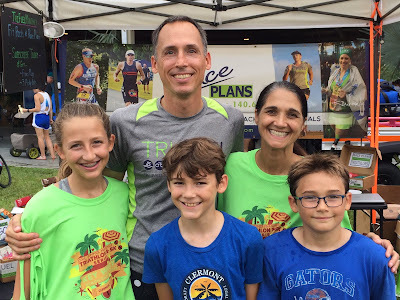 Our usual Florida fall cooldown had not happened yet and the early morning temps were in the mid-70 with sunny skies and a hot day predicted. Since the 1/3 group went last, we started at 9:00 AM, the idea being that the full and 2/3 people all exit the water roughly together. The .8-mile swim was great with the water at 82 degrees and with the sun getting high made it rather fun. Heading out on the bike was a new adventure as the new location also meant a new course. The 42-mile bike course started out by rounding Lake Minneola away from the swim start and the first climb began about mile 7. Then the fun began. 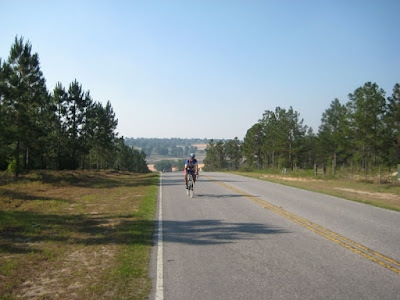 Lake County is bisected by the Lake Wales Ridge and many of the roads near Clermont have steep, rolling hills around them. All during the bike ride if I wasn’t climbing I was descending, usually around 30+ mph. We rode through scenic Monteverde and hilly Ferndale and then Buckhill Road. 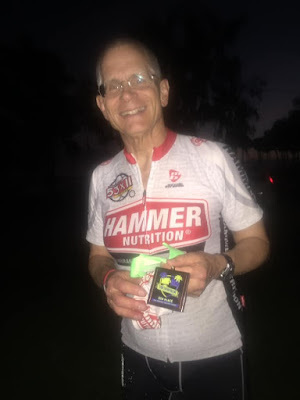 I was feeling great with plenty of nutrition and hydration aboard. However, it was now past 11:00 AM and getting very hot. I had passed dozens of other riders during the climbs as the Moulton and I were performing well. Mile 30 brought Sugarloaf Mountain into view and I made sure I was well fueled and hydrated before starting. 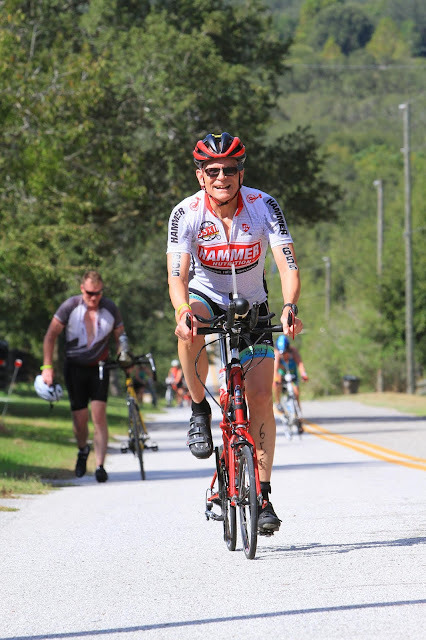 The climb up is a very tough 14% especially after Buckhill’s multiple 11% rollers so I just put my head down and climbed in my lowest gear, passing other cyclists walking their way up. 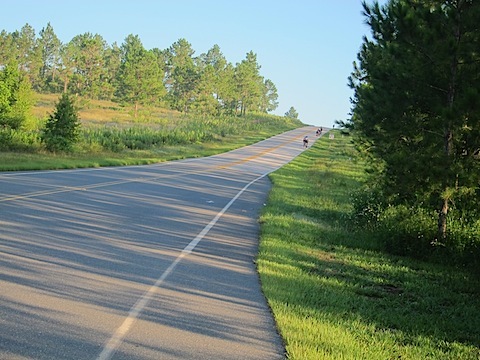 Chasing two other cyclists down the backside brought me to 39.4 mph as I rounded the tight, left hand turn at the bottom. As I headed onto the remaining hills, I felt the heat for the first time. Maybe I really got hot climbing Sugarloaf but the bike computer showed 96’ f in the noonday sun. Going back to Clermont put me on a wide open 6 lane highway and the pavement radiated heat. The computer showed 98’ and then flickered several times at 103’ and 104’. My left calf was getting tight and my inner right leg hurt briefly during another climbing. Coming off another hill on Rocky Ridge Road, I hit 41.7 going into a left hand, sweeping curve. Very exciting but the wind was not cooling me down. I averaged 15.6 on the bike course. 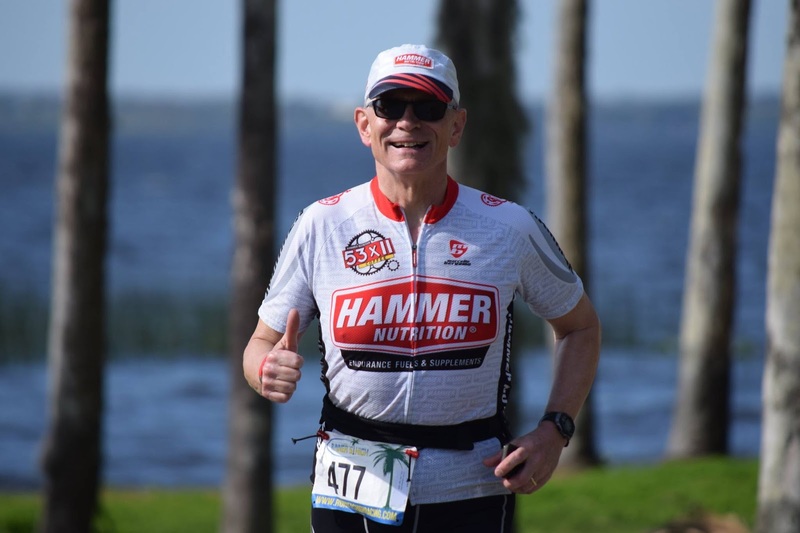 Racking the bike, I changed my shoes, grabbed my hat, number, and hydration belt and headed out on the nine mile run. I was taken by the fact that almost no other racers were around. The heat was tremendous and it was evident this was going to be a survival run. I had my white sun sleeves on and my ice bandana around my neck. My run/walk was agile enough to occasionally pass people but it was evident that we were all suffering. I was drinking plenty and dosing myself with ice water but the hot sun was relentless along the lakeshore. My calf stayed tight for the entire run but didn’t hurt any worse and nobody passed me the whole 9 miles. I rolled into the finish in downtown Clermont, grateful that my race was over. While my time was slow compared to previous years, I was only 18 minutes behind first so I garnered second place for my efforts with a time of 5:29:10. Third was 1:29:15 behind me so I know he was having a terrible time. This was truly an epic day and I was happy to do so well. Reeli (3rd) , Amy (4th) and Meggan (6th) all finished well but Ryan came in with a 8:03:00 in a race that was sheer guts; I would have quit! Thanks to the race organizers and volunteers for a great event. Great climbing photo on Sugarloaf Mountain. Saturday was the fourth and final race in the Clermont Sprint Series. Today was a bright, sunny day with no wind and a water temp of 82'f. A lot of friends from Seminole County Triathletes were there along with new friend Ryan Ridge, doing his second triathlon. 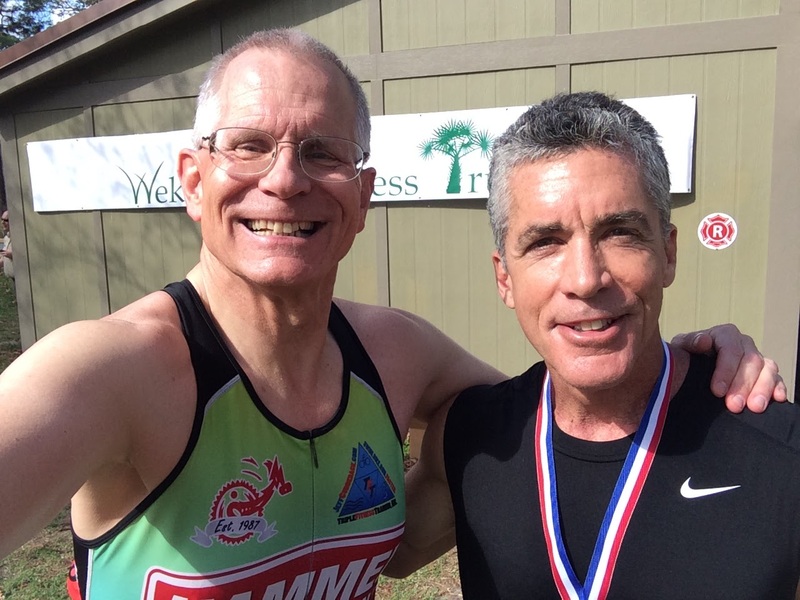 I was in the third wave and had a great swim in the calm waters of Lake Minneola, finishing with a time of 9:58. My bike ride on the Moulton SST was exceptional, with a top speed off Bloxam hill of 39.3 mph, and an average speed of 18.1 mph. This was probably my best ride at Clermont yet, due to a seat adjustment after the last race. Taking off on the run I felt great and completed the run in 27:58, crossing the line in fourth place out of nine with a time of 1:18:39. This was my second fastest time in the series. After the race had ended, I checked the results online and discover that in the final tabulation of series point, I had won the Championship. My solid finishes in all 4 races had acquired more points than anyone else. Trophy and $50 gift card! 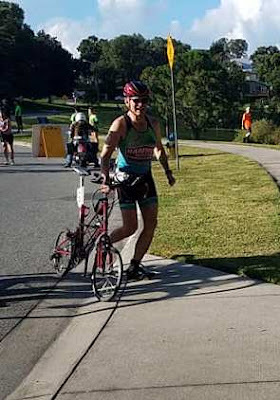 Finished second today out of six in my 158th triathlon; averaged 17.6 mph on the bike course and hit 38.9 coming off the big hill. 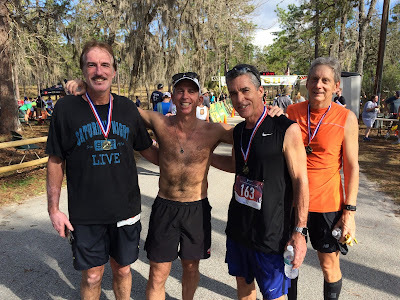 Great run as the overcast moved in but I stayed in second place for the whole race. 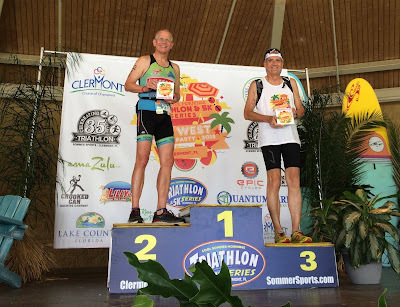 Been 2 years since I got a podium in Clermont; if only that guy from Jacksonville had stayed home. New friend Ryan Ridge did his first tri today; he has lost 50 pounds since January with more to go. Fred Sommer very kindly gave me a number in the wrong rack to be next to Ryan. I've been giving Ryan advice and he hired Jeff Cuddeback to coach him. Ryan finished alongside his friend Michelle, doing her first triathlon also. 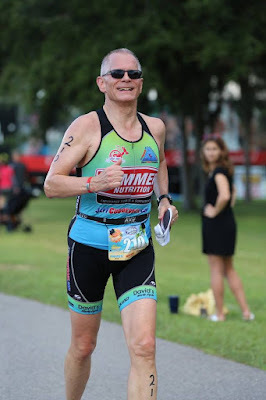 Lots of Seminole County Triathletes here today too. Meggan Ann Johnson finished a fast third (passing me on the bike again!) in 35-39 Female. I usually catch her on the run but she finished a minute ahead. Kenyon and Tamara Congdon was there with his family too. Ryan and me at the finish. My Moulton SST performed well. I live in Orlando, Florida, having moved here from Chicago in January, 1994. I've been married for more than 35 years to Sandy, who is a wonderful wife, chef, and singer. We had 2 rabbits, Fawn and Sarah, who roamed around the house for over 12 and brought us great joy. I raced cars in the 1970s, we toured on motorcycles in the 1980s, and sailed boats in the 1990s. I was a professional photographer for 25 years in the corporate world in Chicago. I now work at Ernst & Young as the office "jack-of-all-trades" in downtown Orlando. 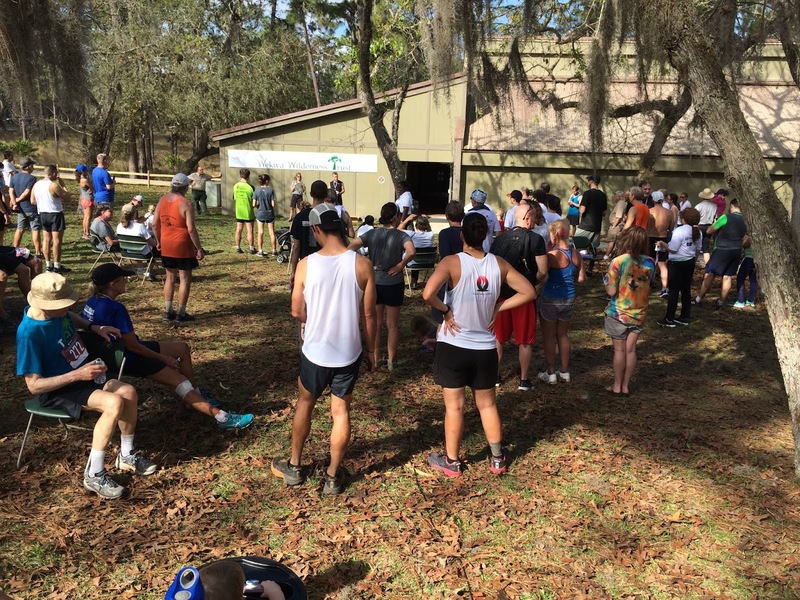 We have a great home close to Wekiwa Springs State Park, which is an exceptional training ground. 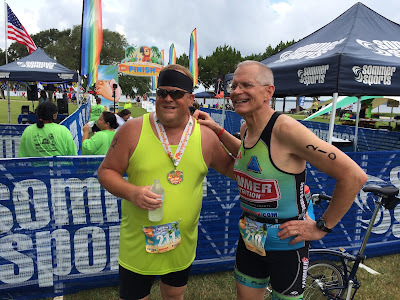 Jeff Cuddeback - Great Triathlon Coach!